Originally published in 1839, this was the first good summary in English of the characters and themes of the Nordic myths, with a popular account of the two Eddas and of the religion of Odin. 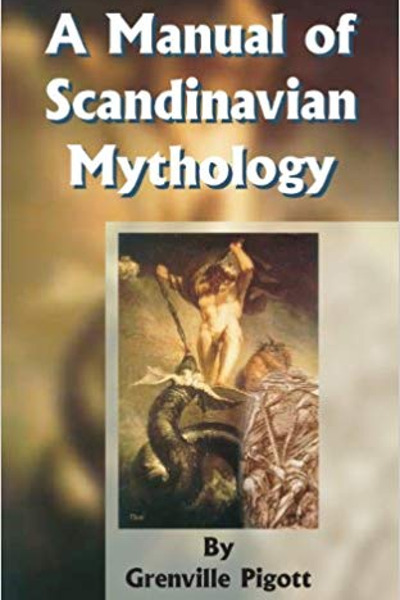 The author shows that the subject of Scandinavian mythology, then little studied, was the source of most of our popular superstitions, from whence the favorite authors of our early childhood have drawn their witches, fairies, dwarfs, and ghosts. But from a historical point of view also, the religion of Odin must have exercised a great and lasting influence on the character and institutions of the inhabitants of Great Britain. The Jutes, Anglians and Saxons, who, in the course of the fifth and sixth centuries effected the conquest of the greatest part of the island, were worshipers, and their principal leaders reputed descendants of Odin. Hravan is a free online library dedicated to Germanic paganism. We provide our userbase with an ever increasing collection of books about Germanic paganism. What book would you recommend for someone that’s new to heathenry? Let us know below, so we can build a great curated collection for beginners. We prefer books that are in the public domain, because we want to share knowledge and wisdom for free. Stay up to date. Follow us on social media!